TruClean is a New Jersey premier professional cleaning company. We have serviced thousands of NJ residential, commercial and industrial clients with affordable, expert, cleaning services. Unlike our competitors, cleaning your home or business is not just a hobby for us. It's our business—and our specialty. No matter what we clean, we clean it as safely as possible. This means utilizing environmentally-friendly, biodegradable organic detergents, our Softwash process is state of the art and will provide the best cleaning results without the need of high pressure, for those areas that need higher pressures our cutting edge cleaning units prove to be the best available. We can even supply our own water when there is no water supply onsite. Our uniformed salesmen and field personnel will arrive on-time wearing their Ask the Seal badges for your peace of mind. Infinity Home Services, LLC, is a locally owned and operated company with experience in residential and commercial power washing and other handyman services. With over 15 years of experience, Infinity Home Services, LLC is the right choice for all your power washing needs. 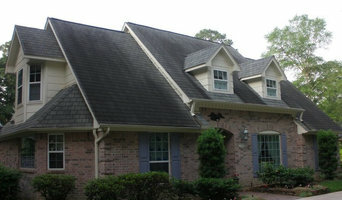 We do house siding, decks, patios, gazebos, gutters, walk way, driveways and other areas of your home or business. Pavertastic! offers personalized service to residential and commercial customers. The owner is a twelve year tile veteran. Although many other companies claim to be our competitors, Pavertastic! 's service and prices cannot be beat. New York City's best hood cleaning services can be found with New York Hood Cleaning - Commercial Kitchen Cleaners. Provide quality kitchen exhaust cleaning solutions to restaurant owners and industrial kitchen managers. NFPA- 61 regulates standards for the prevention of fire and dust explosions in agricultural and food processing facilities, therefore implies the use of hood filtration and standard baffle filters. NFPA-30 flammable and Combustible Liquids Code, requires the use of grease cups and drains. NFPA-53 ensue practice on materials, equipment, and system used in oxygen- enriched atmospheres, where guidelines parallel HVLS- High Volume Low Speed Fans, exhaust hoods, pollution control units. NFPA-70 national Electrical Code. While it's true that some surfaces require high water pressure, it is most likely that your home can be cleaned with our "Soft-Wash" method, which allows varying pressure to achieve the best power washing results. Dirt mold and mildew, are not only unsightly, but can lead to health problems, especially if it has a chance to infiltrate the inside of your home. We will clean the exterior of your home, whether it is aluminum, vinyl, stucco, or any other surface. Ask us about our amazing roof shampoo method. Professional pressure cleaners with top notch equipment. Specializing in exterior power washing and soft washing. Spring 2017 - offering solar panel cleaning Family business since 1993. Licensed and insured. What do Huntington Bay, NY exterior cleaners do? 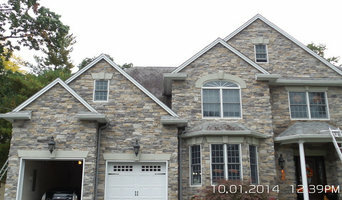 Find exterior cleaners in Huntington Bay, NY on Houzz. 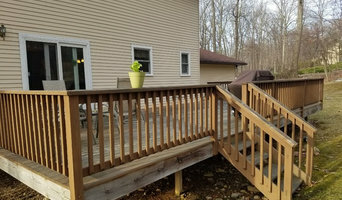 Search the Professionals section for Huntington Bay, NY exterior cleaners or browse photos of completed projects and look for the exterior maintenance professional’s contact information.